Finding a professional garage door service that can prevent significant problems and keep your garage door in working order is far too important to leave it to chance. The interference of our professional staff to the technical difficulties of your garage door would eliminate the danger of accidents and constant repairs while it would contribute to your security. Garage Doors Thornhill is an experienced company, which knows the secrets of the different types of garage doors, the peculiarities of each brand, and the common problems of garage door parts. 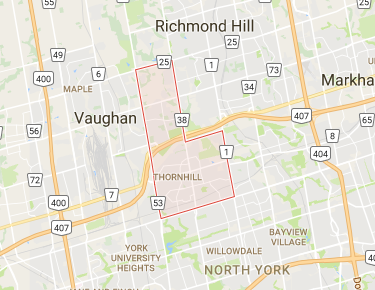 One of the greatest things about Thornhill is its multi-ethnicity, which leaves room for the development of new ideas and the interchange of cultural variations. The multicultural face of Ontario has always been its greatest asset and can also become an aspiration for the businesses, which can grow in healthy competitive environments. Our own business focuses on residential garage door service. Our people ensure that your garage doors will always be repaired and maintained to provide security for your home and family. We feel responsible for your safety and, thus, obliged to inspect the condition of your door, service garage door opener problems and inform you about the latest technologies. We work hard to respond immediately to your emergency calls and even offer you same day garage door service repair that will release you from the anxiety of your home security. You can leave the stability of your garage doors and the protection of your family to the skillful hands of Garage Doors Thornhill.